“When we started the Kickstarter there was no variation in the competitive shooter genre. PUBG didn’t even exist and everything was so dry with just Counter-Strike and Battlefield. 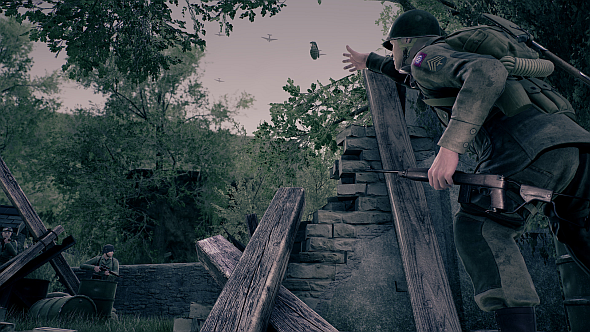 That was Battlefield 4 at that time,” Joe Brammer says, recounting the February 2016 crowdfunding campaign for his World War II multiplayer shooter Battalion 1944. Brammer is studio lead at Bulkhead Interactive, the Derby-based outfit who have thus far provided us with first-person puzzlers The Turing Test and Pneuma: Breath of Life. He is not a man too shy to outline what his game is and what it is not. With Call of Duty having gone back to WW2, when and where could COD 2018 be set? “Modern games like Battlefield are amazing at what they do and great at being a very cinematic experience,” Brammer continues. “You press space to hurdle over something and you do so with incredible sound effects and great animations and into a beautiful French church that has been destroyed. 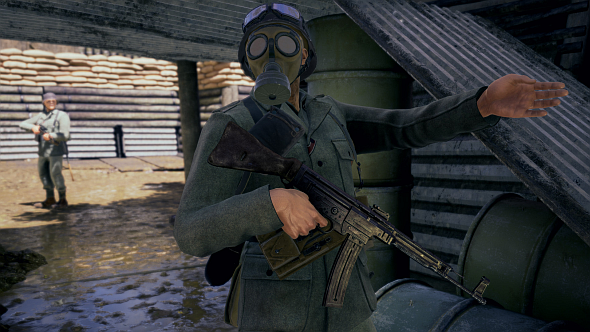 This inclusion of a middleman in proceedings is absent from Battalion 1944, the focus being on providing a 1:1 ratio between player input and in-game result. Staying in the moment and focusing on the task at hand is being prioritised, even if it comes at the expense of flashy visuals. Brammer describes his game’s graphics as “OK, deliberately OK,” and playing for yourself attunes you to what he means. 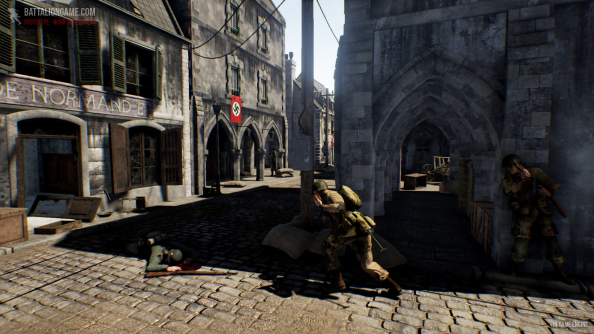 There’s an immediate sense of understanding when playing Battalion 1944, the visuals working to make clear what is scalable and what is not, whether or not a piece of cover is suitable for purpose, and which sightlines you should be prioritising in any isolated moment. Everything is simple, but in a very considered, purposeful, and healthy way. You are not going to be killed in Battalion 1944 because you are waiting for a climbing animation to play out, you are going to be killed because you mistime your movement from cover, or you incorrectly estimate a jump or sprint. Influences from the likes of Wolfenstein: Enemy Territory and early Call of Duty games are obvious, but not because of the World War II overlay. It is the focus on designing player interaction over pure spectacle that stands out here. 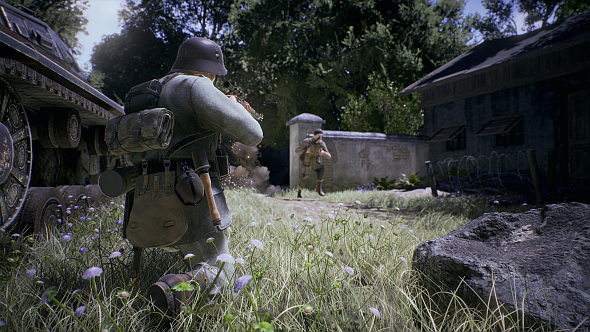 The irony of using a modern engine to achieve old-school results is not lost on Brammer as he speaks about it with a chuckle, although he does lament some of the responses Battalion 1944 has had due to the embracing of this approach. During development Bulkhead received the ultimate approval in regards to its design approach in the form of an email congratulations from an, in Brammer’s words, “old and unnamed” Infinity Ward employee. 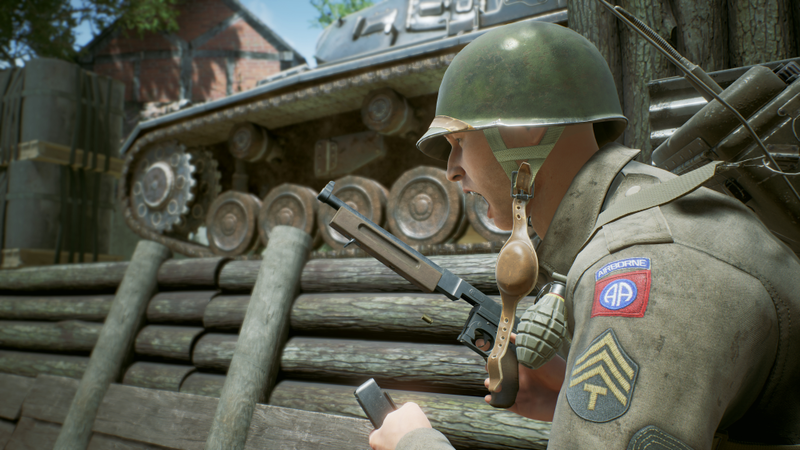 Whilst not aimed exclusively at the ultra-competitive player archetype, Battalion 1944 does harbour esports ambitions – the removal of much of the fluff included in modern shooters likely helping its cause. Bulkhead have what Brammer describes as an “in-house pro” player who provides analytical feedback on how Battalion 1944 plays from the perspective of a high-level competitor. Professional FPS players have also been brought in to comment on the game’s design and assist in map creation. Since last weekend’s beta (January 19 – 22), Bulkhead have had offers for “huge tournaments” but Brammer and his team are adopting a more considered pacing to achieve their esports goals. “Over the last 12 months we’ve seen multiple games trying to become an esport just because it’s a flashy investment buzzword and it’s the ‘hot’ thing right now. I don’t think that’s the way to go about it, though. “Rainbow Six Siege, in my mind, did it perfectly. [Ubisoft] started with small tournaments, got feedback from their community and made changes based on what they saw. Brammer is well aware of the fact that if you perform badly when your chance at the big time comes up then you are unlikely to ever have that chance again. As such, it pays to tread carefully and make sure you are ready and equipped rather than being seduced by the potential for big money too quickly. In both design and competition, then, Bulkhead are dedicated to doing things their own way, ensuring they retain control and their own sense of identity. This is an impressive outlook for a team so young and currently without a first-person shooter release under their belts. 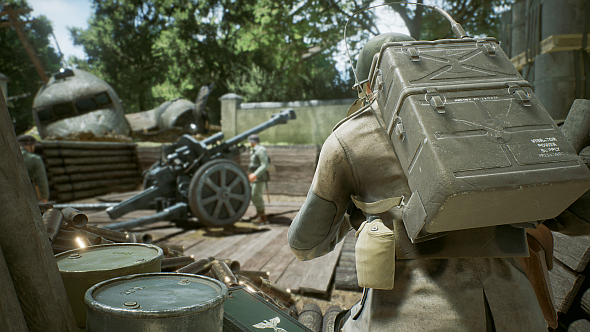 Battalion 1944 is worth keeping an eye on not just for the clarity of its game design goals, but also for the thought that has gone into the achievement of its long-term competition goals.